Doesn't have the same ring as Sidney Poitier's iconic line. But there it is. They do. 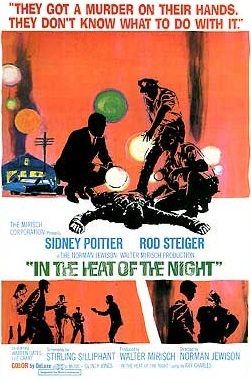 We had an unintentional month and a half hiatus, but we're roaring back with "In the Heat of the Night," Norman Jewison's slightly uneven film about a murder in a small Mississippi town and the complications brought on when one of the investigators is a black homicide detective from Philadelphia. They call him "Mister Tibbs!" And so will you. We've had an unintentional hiatus but we're about to come roaring back!! A movie about simpler times. A movie about a whole ton of coincidences. In 1972, Richard Nixon brought us a scandal of the highest order. 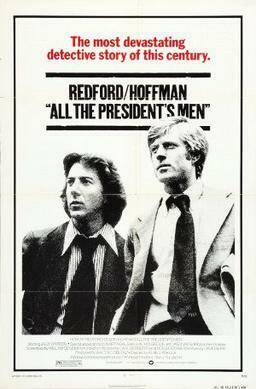 In 1976, Alan J. Pakula brought us Robert Redford and Dustin Hoffman in "All The President's Men." A thriller in which no one is shot, stabbed or poisoned. Or blown up. Or thrown out of a building. Wait a minute... What the hell kind of thriller is this? A guy gives vital information to a protagonist and is alive two scene's later to talk to the protagonist *again*?? Or, maybe they just knew how to do it right. Do it without crutches like speeding trucks, buses or sniper rifles. Charles Chaplin wrote, produced, directed, scored and starred in this 1936 silent picture. A classic in its own right, it also stands as the last film of the silent era and features the first words Charlie Chaplin spoke, or rather sang, on film. There are classic moments in this film starring Chaplin as "A Factory Worker" (but really, The Little Tramp) and Paulette Goddard as "A Gamin." The film does have a full score (written by Chaplin) and sound effects and includes voices of other characters--but only as recorded or transmitted. Sam Peckinpah directed this 1969 Ketchup Gun extravaganza starring William Holden, Robert Ryan, Ben Johnson and Ernest Borgnine. The thing is, there's a good story here, too. A little hard to follow at points with flashbacks and repeated dialog loops, but it's there! Join us, won't you, for a story of scorpions in a world of ants. Billy Wilder's "The Apartment" was nominated for 10 Oscars, It won 5, including Best Picture. I think it could do so again today. Jack Lemmon gives a fantastic performance as C.C. "Buddy" Baxter, a put-upon bachelor who is caught up in a never-ending cycle of loaning out his apartment to executives in his company, so that they can cheat on their wives. Baxter appreciates the popularity until he takes a shine to Fran Kubelik (Shirley MacLaine) an elevator operator at Baxter's company. Oh, and if you've ever wanted to see an actor cast against type, Fred MacMurry's (The Shaggy Dog, The Absent-minded Professor, My Three Sons) performance as Jeff Sheldrake is a real piece of work. Blood and sandals again?! Aw Mom! But Stanley Kubrick's Spartacus (1960) is a true epic, a cast of 10,000 including Kirk Douglas, Jean Simmons, Lawrence Olivier, Charles Laughton, Peter Ustinov (who won an Oscar for his portrayal of Batiatus) Tony Curtis and the Spanish Army. 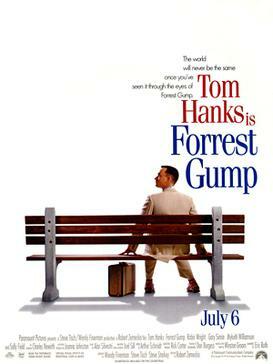 This version of the film even contains the banned Oysters and snails scene! It does? Well ok, then, we'll try it! Originally I had thought to do something a little more artsy with this podcast, maybe something themed to go along with the film we were watching. I couldn't come up with something better than 45 minutes of dead air for the silent films on the list, and since we're working only with audio, instead of that you get loads and loads of us talking about how much the film says without saying anything. F.W. Murnau (Nosferatu, Faust) directed George O'Brien (whose career effectively ended when silents did) and Janet Gaynor in this 1927 Oscar winner. He's so very modern in his free and easy manner; she, so staid and proper. Then the boat sinky sink sinks. Wherever you are, please listen to this podcast, we spent a lot of time watching this film... a lot.